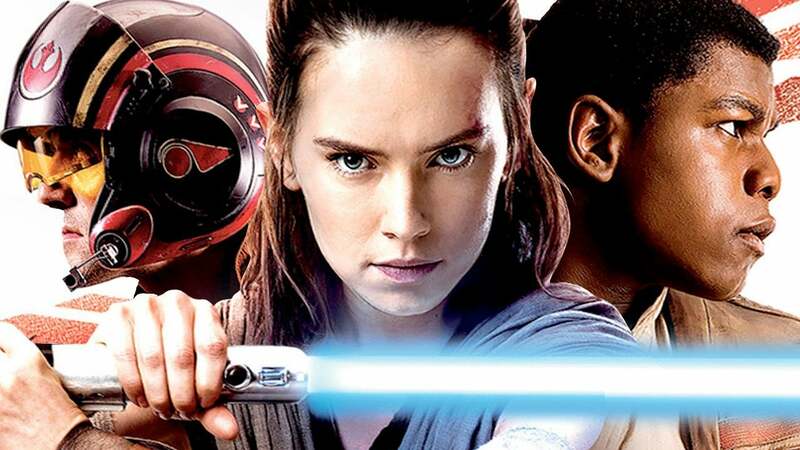 The Last Jedi is on the minds of every Star Wars fan right now, but Disney and Lucasfilm are already thinking ahead to its sequel. 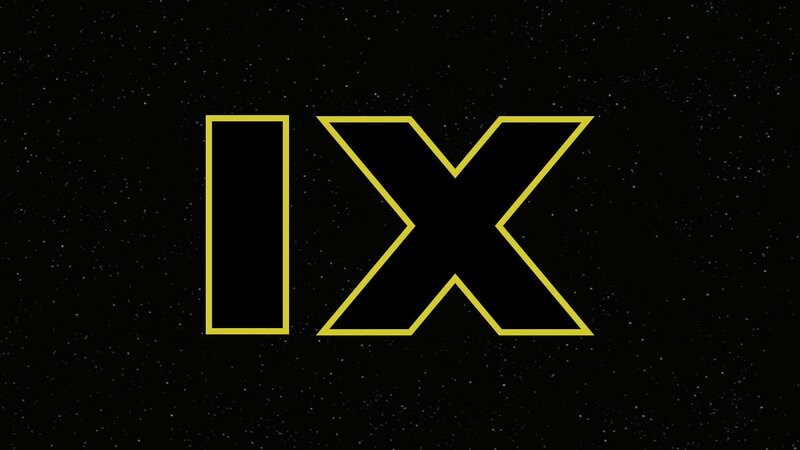 They announced today that Star Wars: Episode IX will hit theaters on May 24, 2019. Additionally, the next installment in the Indiana Jones franchise (the other major Lucasfilm property that Disney now owns) will be released on July 10, 2020, with Harrison Ford starring. 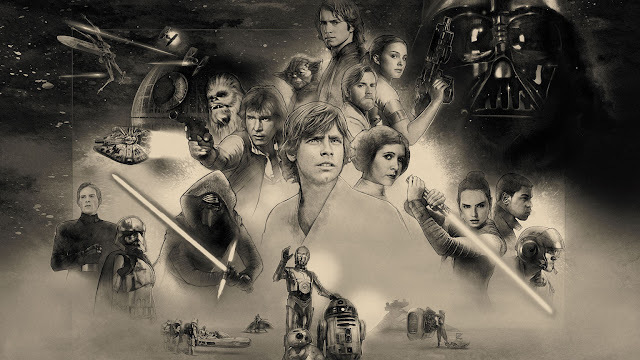 Episode IX was previously thought to open in December 2019, in the same pre-Christmas slot as The Force Awakens, Rogue One, and The Last Jedi, so now fans will have much less time to wait between the untitled Han Solo film (May 25, 2018) and the finale to the Sequel Trilogy, which might conclude the Skywalker saga itself. Both the Original Trilogy and the Prequels were all released in May, and The Last Jedi had a similar date until it was pushed back in January of last year. 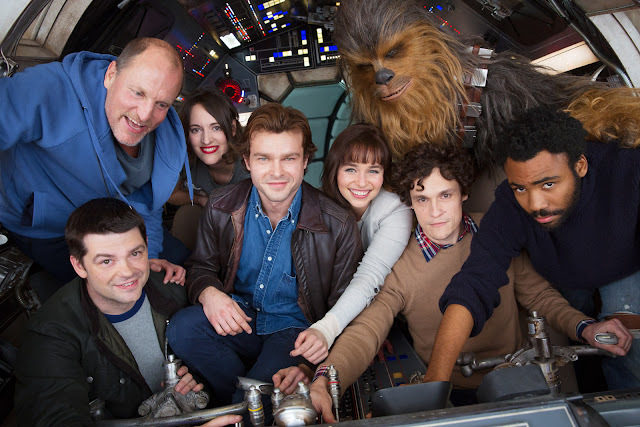 Depending on how well the Han Solo film performs with a springtime premiere, we could see the franchise permanently shift to May, making it the defining month for Star Wars movies once again. Obviously, we can't speculate much about Episode IX until The Last Jedi is released, but we know that the late Carrie Fisher will not appear in the film; the story will somehow explain Leia's abrupt absence (since her role in The Last Jedi won't be altered to accommodate for Fisher's death) without using existing footage of Fisher or recreating her likeness with controversial CGI. Colin Trevorrow (Jurassic World) will direct. 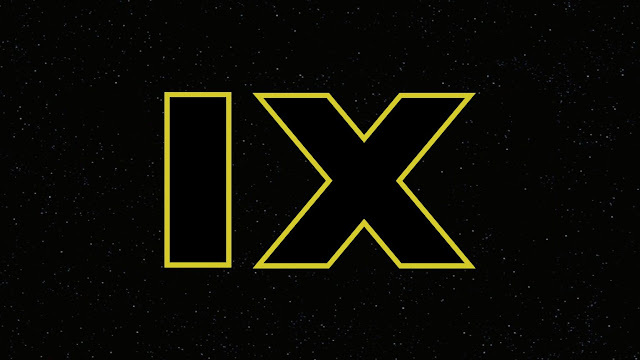 What do you think of Episode IX's new release date? Tell me in the comments or tweet to @SithObserver, and may the Force be with you all. "I only know one truth: it's time for the Jedi to end." Luke Skywalker's chilling words from The Last Jedi's teaser trailer shook the Star Wars fandom to its core. The young, idealistic farmboy who was once committed to the return of the Jedi is now resolved to see the Order's demise. The simplest reasoning for this is that Luke is just an old pessimist whose logic has been clouded by personal loss, but maybe he's realized that the Jedi were completely ineffective and deserve to finally die out in order to make way for something better. In the Prequel Trilogy, we saw the Jedi at the height of their prosperity. They had thousands of members, a huge Temple on Coruscant, and the respect of the entire galaxy. All of this started to crumble when the Clone Wars began and the Jedi were immediately placed in military command. 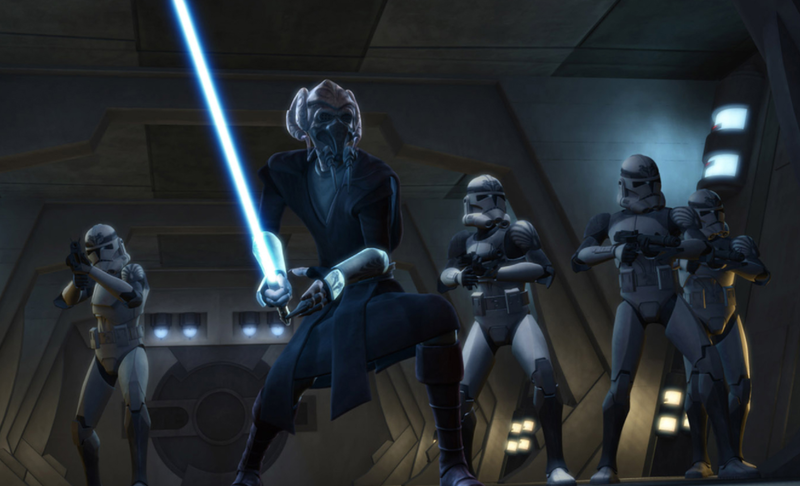 There's something inherently wrong about these noble "peacekeepers" leading soldiers into battle, even if the Separatists (or at least, Count Dooku) were evil and wanted to conquer the galaxy. And while Yoda, Mace Windu, and the rest of the Jedi Council were seemingly wiser than the corrupt politicians of the Senate, they made a lot of very poor decisions. In Star Wars: The Clone Wars, they faked Obi-Wan's death in an elaborate plot and purposefully excluded Anakin, letting him believe that his best friend was dead. 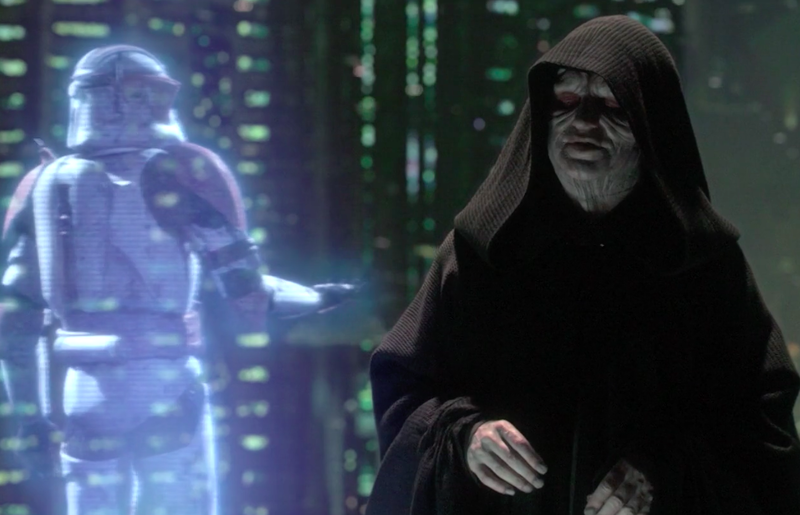 In Revenge of the Sith, they refused to appoint him as a Jedi Master and instead ordered him to spy on his old friend, Supreme Chancellor Palpatine. Their reluctance to trust Anakin ironically sent him down a dark path that didn't end too well for any of them. The Jedi's whole "no attachments" rule didn't do them any good, either. 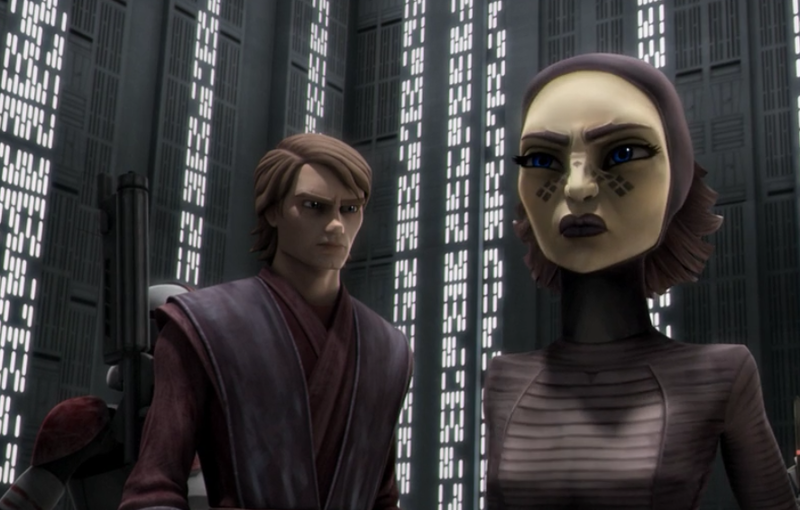 If Anakin hadn't been forced to keep his marriage a secret from the Council, he may have accepted their advice, instead of the dark teachings of Palpatine, when he began to fear Padmé's death. In the Expanded Universe, Luke even seems to recognize this flaw when he rebuilds the Order, allowing romantic relationships and starting a family of Jedi with Mara Jade. For many Star Wars fans, the Council's greatest misstep was when they expelled everyone's favorite, feisty Padawan, Ahsoka Tano, after she was framed for a Jedi Temple bombing in The Clone Wars. Despite years as a loyal and diligent Jedi, as well as strong evidence supporting her innocence, they abandoned her when she needed them the most. 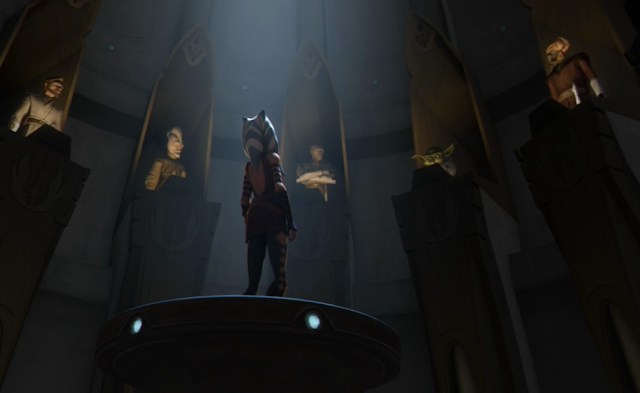 Later, Ahsoka was proven innocent and the Council sheepishly rescinded her expulsion; having seen for herself that they didn't trust her, Ahsoka rejected them and left. "I did it because I've come to realize what many people in the Republic have come to realize: that the Jedi are the ones responsible for the war, that we've so lost our way that we have become villains in this conflict, that we are the ones who should be put on trial, all of us! And my attack on the Temple was an attack on what the Jedi have become: an army fighting for the Dark Side, fallen from the Light that we once held so dear." In case it wasn't clear already, the episode's official StarWars.com trivia gallery confirms that Barriss' words were 100% true. The Jedi had become pawns of the Sith because Chancellor Palpatine was secretly their greatest enemy, Darth Sidious, something that they failed to realize until much, much too late. He manufactured the Clone Wars, controlled both sides of the conflict, and manipulated the Jedi the whole time, until the day finally came to execute Order 66 and give birth to the Galactic Empire. Maybe it's unfair to call the Jedi incompetent and idiotic for their obliviousness to Palpatine's plot. He was a master of deception, after all, and the Jedi were too busy to second-guess their Chancellor. But they had become peacekeepers fighting a war, and very few of them recognized that dichotomy. 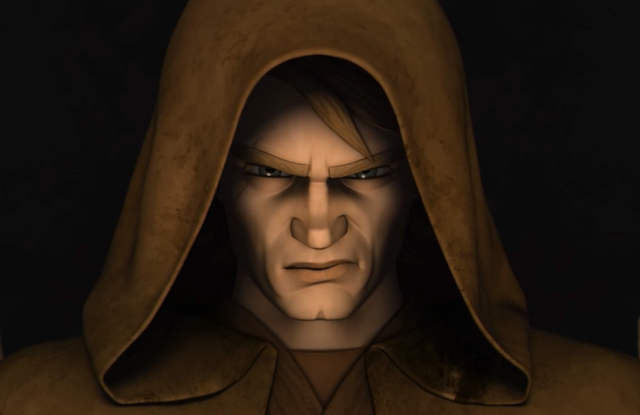 The Council also completely mishandled Anakin (who was the Chosen One for all they knew), refusing to respect him and turning their backs on his beloved apprentice; you almost can't blame him for falling to the Dark Side. 30 years later, history repeated itself. Luke attempted to train a new generation of Jedi, but one of his most gifted students – his nephew, Ben Solo – was seduced by the Dark Side and destroyed Luke's temple in yet another Jedi purge, albeit on a much smaller scale. 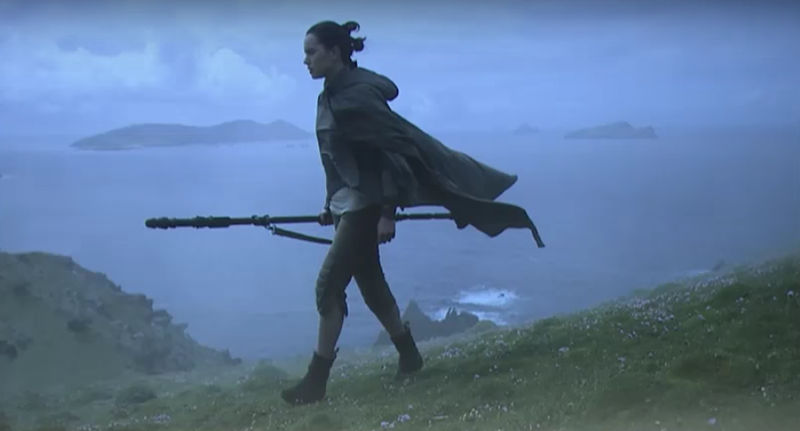 Stricken with grief, Luke fled to the first Jedi temple on Ahch-To, where he spent the next several years in isolation until a certain multitalented, Force-sensitive young woman showed up at his door, presumably expecting him to train her in the ways of the Jedi. Luke must have come to the conclusion that the Jedi Order is simply overrated, that it completely and utterly failed at its most basic purpose – to ensure the safety of the galaxy and prevent the Sith from rising – and that it doesn't deserve to be renewed. But maybe it goes even deeper than that. Maybe Luke has realized that what the galaxy truly needs is balance, something that the Jedi are incapable of providing. At the beginning of The Force Awakens, Lor San Tekka told Poe Dameron, "Without the Jedi, there can be no balance in the Force." We've heard similar declarations before, but how is a galaxy with thousands of Jedi and exactly two Sith a balanced one? If balance is your ultimate goal, how is aligning with the Light Side any better than the Dark Side? This is where Rey comes in. Anakin was tempted by the Dark Side, and Kylo Ren struggles to resist "the pull to the Light." 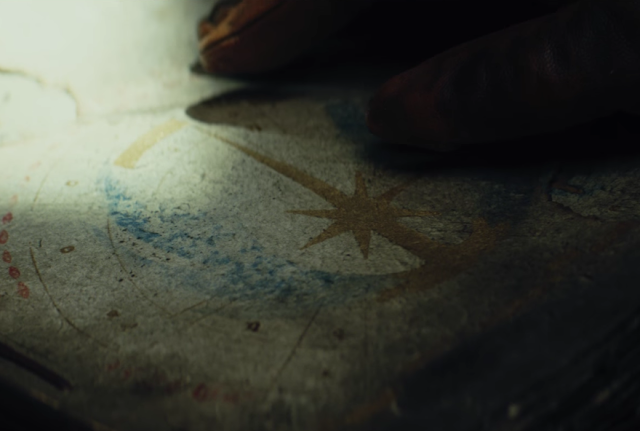 In The Last Jedi's teaser, Luke instructs Rey to "reach out" into the Force, and what does she see? "Light. Darkness. A balance." 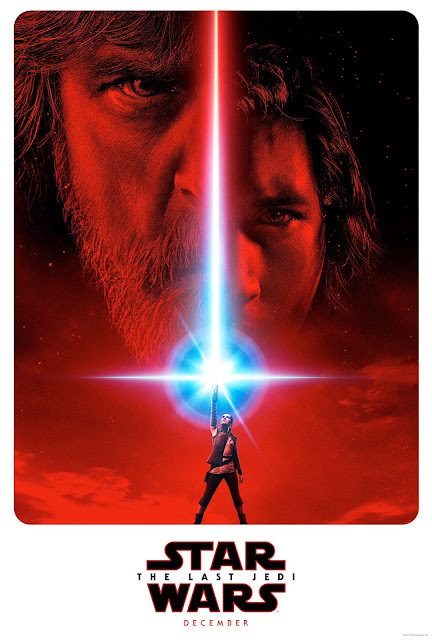 Now look back to the posters for The Force Awakens and The Last Jedi; Rey is always standing in-between the Light and the Dark. And while Rey has the compassion and innocence associated with the Light Side and the Jedi, we also see her fear and her fury, two emotions that lead directly to the Dark Side. She's drawn to an old Jedi lightsaber, but she wields it with Palpatine's unique fighting style and even seems to take pleasure in hurting Kylo Ren. The reason that Luke trains Rey might be that she is equally attracted to both sides of the Force and thus makes the perfect candidate to start a new order that stays in the middle (similar to the Bendu in Star Wars Rebels), bringing true balance in a way that the Jedi and Sith never could. Kylo could even join her at some point, since he's admitted to being "torn apart" by his allegiance to the Dark and natural tendency towards the Light. The term "Gray Jedi" has been thrown around quite a bit since the teaser's release. Although this would accurately describes Rey's potentially Force-neutral stance, we should probably stop using it; no matter what word precedes it, "Jedi" implies a bias towards the Light Side, something that Rey's new order would need to avoid. The big lesson that the Sequel Trilogy might teach us is that indulging either side of the Force more than the other is deeply unhealthy. It could easily be viewed as the source of the unceasing galactic conflict that the franchise is named after. At the very least, we can be sure that Luke is aware of the Jedi's failures and sees Rey as an opportunity to found a new order. Luke is the last Jedi, and Rey is the first, uh, something else. As for whether this will be a better, purer Light Side organization or a revolutionary, neutral group of Force-sensitive individuals, only time will tell. In the end, the Jedi had the best of intentions and they definitely did a lot of good for the galaxy, but their foolish leadership, rules against attachments, and possibly even their basic adherence to the Light Side all prevented them from fulfilling their basic goals of peace and balance in the galaxy. One way or another, it is time for them to end. Why do you think Luke is training Rey? What will she become? Tell me in the comments or tweet to @SithObserver, and may the Force be with you all. Star Wars Celebration Orlando is now over, and unlike last year, it did not disappoint. 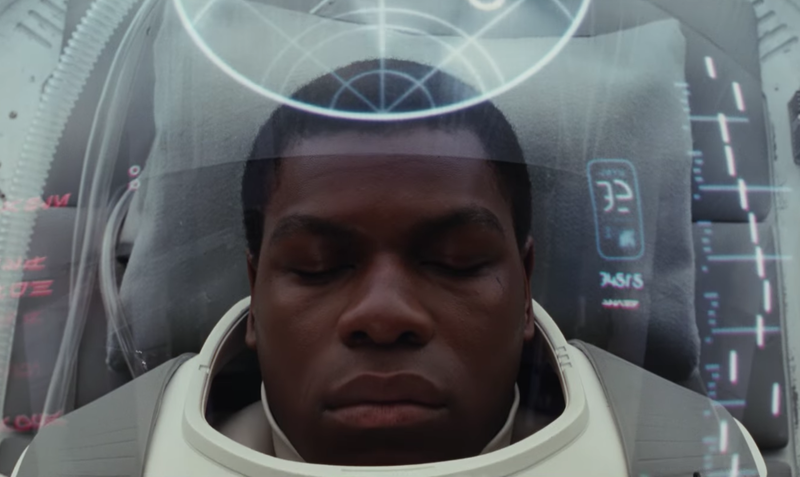 Aside from the ominous, epic teaser trailer and poster for The Last Jedi – the weekend's biggest reveal, as far as the Internet is concerned – we got major announcements from every side of the Star Wars universe and (as usual) tons of fun moments with the Star Wars creators and stars that any fan can enjoy. The 40th anniversary panel that kicked off the festivities wholly delivered on its promise of special guests. George Lucas was invited onstage fairly early in the panel and stayed for most of its duration. 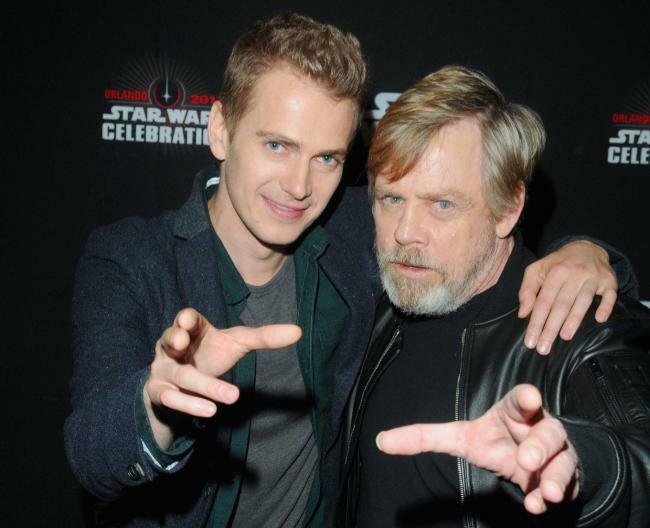 Hayden Christensen and Ian McDiarmid joined him for a Revenge of the Sith mini-reunion; for Christensen (whose performance as Anakin Skywalker has been widely criticized), this was his first Celebration in 15 years, and the excitement surrounding his appearance indicates just how much the Prequels have risen in popularity in recent years. Additionally, Liam Neeson and Samuel L. Jackson both greeted the audience in pre-recorded videos, with Jackson insisting that Mace Windu is still alive and offering to return as the badass Jedi master. Harrison Ford was met with thunderous applause as he joined Lucas, Mark Hamill, Billy Dee Williams, Peter Mayhew, Anthony Daniels, and host Warwick Davis for an Original Trilogy reunion. And Billie Lourd, Carrie Fisher's daughter, took the stage alone to remember her late and great mother. Indeed, Fisher's death was felt throughout the weekend. The 40th anniversary panel ended with a terrific and moving tribute video that highlights both her passion and ceaseless wit, followed by John Williams himself conducting Princess Leia's iconic theme. During The Last Jedi's panel, director Rian Johnson and Lucasfilm president Kathleen Kennedy assured us that her last film role would not disappoint. And Mark Hamill led a panel dedicated to Fisher's memory on Friday night, exploring his own relationship with her and the legacy that she leaves on both the creators and fans of the Star Wars universe. The Star Wars Rebels panel on Saturday morning saw executive producer Dave Filoni confirm that Season 4 will be the series' last. However, as the new trailer shows us, it's going out with a bang. 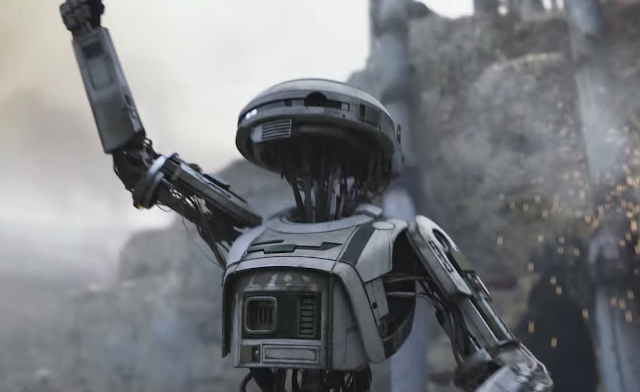 Saw Gerrera and Mon Mothma will be returning from Season 3; frequent Celebration host Warwick Davis will voice Rukh, Grand Admiral Thrawn's bodyguard/assassin; and Bo-Katan (Katee Sackhoff), a fan favorite from The Clone Wars, will return in an episode arc centered on Mandalore. Strangely enough, the panel didn't give us the anticipated, applause-worthy confirmation that Ahsoka Tano would reappear in the final season, even though Filoni hinted it during his own panel on Thursday and with a subtle T-shirt change during the Rebels panel. 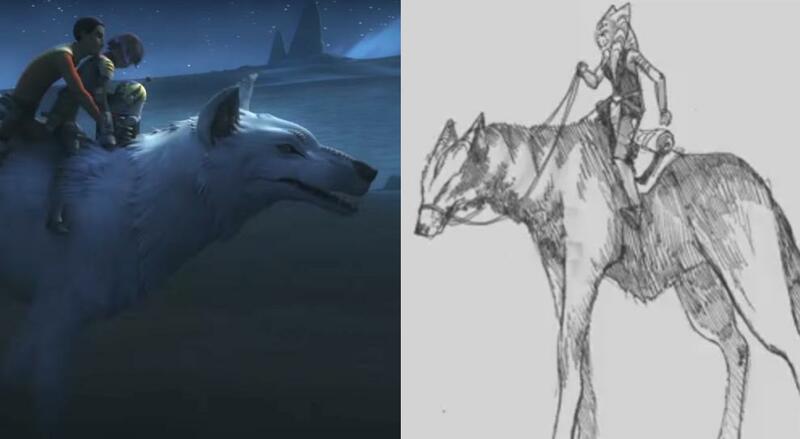 The trailer did show us multiple characters interacting with a very large wolf, something that's been associated with Ahsoka in an unused Clone Wars sketch. Fans are theorizing that this wolf is actually Ahsoka in a new form, having suffered both emotionally and physically from her duel with Darth Vader. In video game news, the full Battlefront II trailer boasts a single-player campaign with a canon story that focuses on female Imperial soldier Iden Versio's attempt to avenge the Emperor's death and the Death Star II's destruction after Return of the Jedi. The multiplayer function will also span all eras of the canon Star Wars universe – the Prequels, the Original Trilogy, and the Sequel Trilogy – with Darth Maul, Yoda, Luke Skywalker, Rey, and Kylo Ren already confirmed as playable characters. Many new Star Wars books were announced, all of which are detailed on StarWars.com. The "Journey to Star Wars: The Last Jedi" series will include the novels Leia: Princess of Alderaan and The Legends of Luke Skywalker. 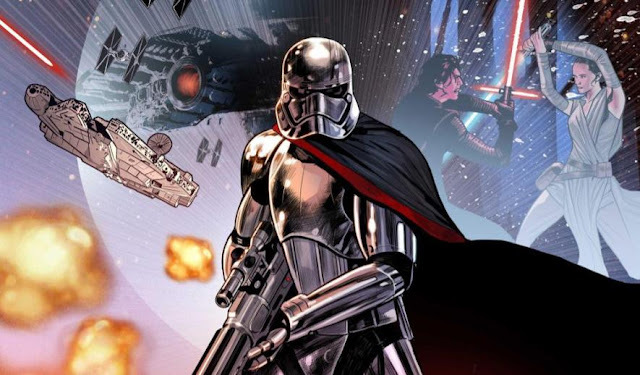 Perhaps the biggest news to come from Star Wars literature is about Captain Phasma; the chrome-clad commander will receive her own novel and a Marvel Comics miniseries detailing her time in-between The Force Awakens and The Last Jedi. We'll finally learn how she earned her rank and reputation. A new Star Wars animated series was also announced by EW on Thursday, ahead of its own panel on Friday. Star Wars: Forces of Destiny will be composed of animated shorts released on YouTube that focus on the saga's heroines. Daisy Ridley (Rey), Felicity Jones (Jyn Erso), and Lupita Nyong'o (Maz Kanata) will be returning to voice their live-action characters; Ahsoka, Anakin, Hera Syndulla, and Sabine Wren will be voiced by the same actors from The Clone Wars and Rebels; and Leia and Padmé, the original Star Wars heroines, will also get the spotlight. Although this isn't exactly the new cartoon that fans expected, it's a great opportunity to tell standalone, canon stories that can't be easily included in the rest of the franchise. Between Forces of Destiny, The Last Jedi, Rebels, Battlefront II, and the new Leia and Phasma novels/comics, the importance of female characters in Star Wars has never been clearer. More Celebration panels and coverage can be viewed on the Star Wars YouTube channel. What was your favorite Celebration Orlando moment? Which announcement/reveal are you most excited about? Tell me in the comments or tweet to @SithObserver, and may the Force be with you all. The Last Jedi has finally been revealed. At Celebration Orlando today, the film's highly anticipated panel saw the release of the first teaser trailer as Daisy Ridley, John Boyega, Kelly Marie Tran, and Mark Hamill joined director Rian Johnson, Lucasfilm president Kathleen Kennedy, and surprise host Josh Gad in discussing the film. 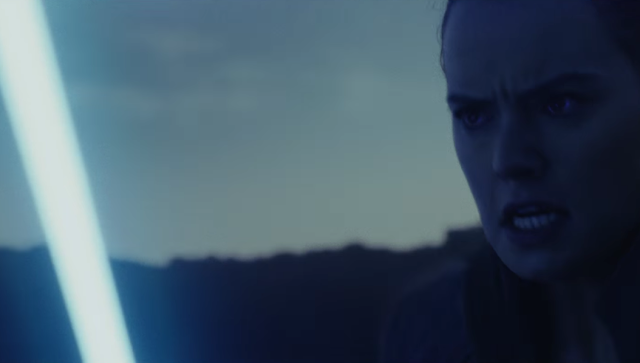 The trailer offers a look at Rey's training under Luke Skywalker, more conflict between the Resistance and First Order, and the fate of the Jedi themselves. Rey collapses onto the stony ground of Ahch-To, panting and covered in sweat. The way that she abruptly interrupts the peaceful shot of the stone is a callback to Finn's sudden appearance on Jakku in the first teaser for The Force Awakens. It looks as though she's had another harrowing Force vision, this time in the cave behind her. "Breathe. 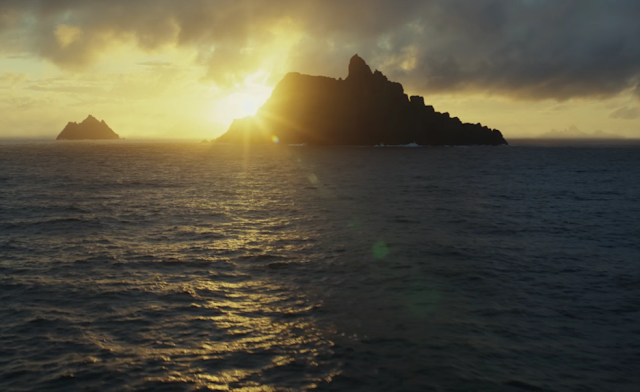 Just breathe," Luke Skywalker instructs her, as we see shots of the island on Ahch-To. It's fitting that the first words spoken in this trailer are from Luke, since he famously had zero lines of dialogue in The Force Awakens. This island is sure to have a major part in The Last Jedi, as both the site of Rey's training and a sacred place for the Jedi themselves. 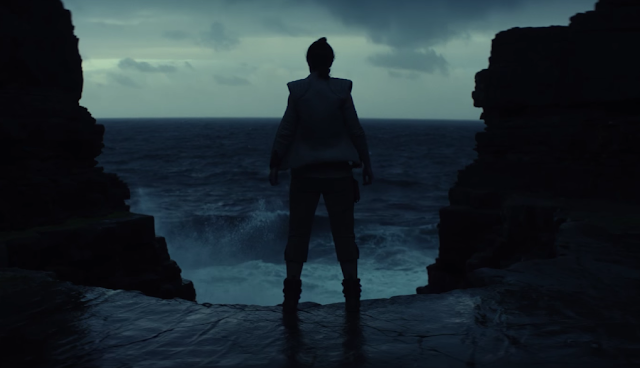 Rey watches the waves crash against the island's rocky shores. This is a metaphor for her own personal journey; she's just one girl faced with a huge, violent galaxy that she has the power to change. In the context of the film, she might be preparing to face a huge sea monster, which Making Star Wars reported is part of her training experience. "Now, reach out. What do you see?" 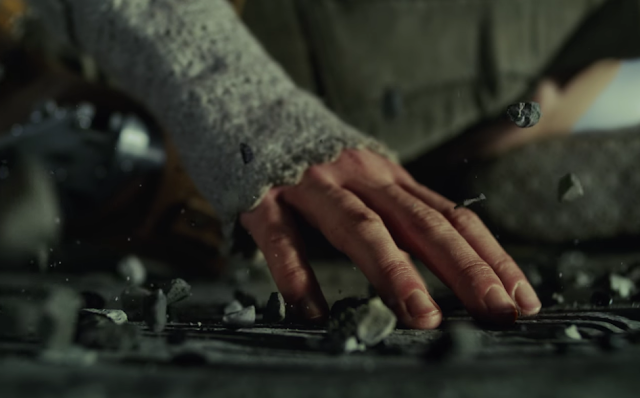 Luke asks, as Rey levitates pebbles with the Force. This beautiful close-up is reminiscent of Man of Steel, in which Superman lifted particles of dusts before bursting into the skies. He, too, was on his way to becoming a true hero. "Light," Rey replies. 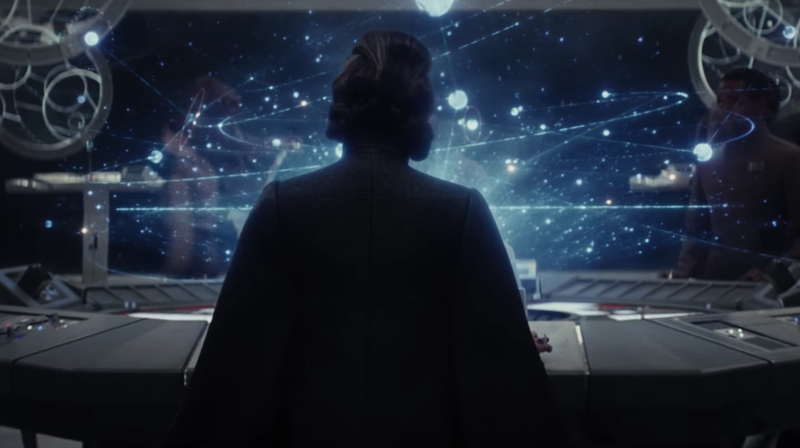 General Leia Organa examines a star chart aboard a Resistance ship. As one of the most perseverant Star Wars heroes and a woman naturally strong with the Force, there's no better person to represent the Light Side. Kennedy recently confirmed that Carrie Fisher will not appear in Episode IX, which means that this is the last time we'll see her in the core cinematic saga. Fortunately, Kennedy also praised Fisher's performance during the panel, and we know that her role in The Last Jedi will be just as large as originally intended. 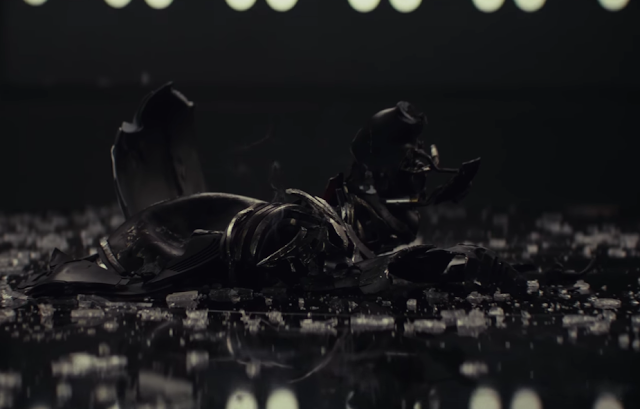 "Darkness," Rey continues, as Kylo Ren's shattered helmet lies on the floor. 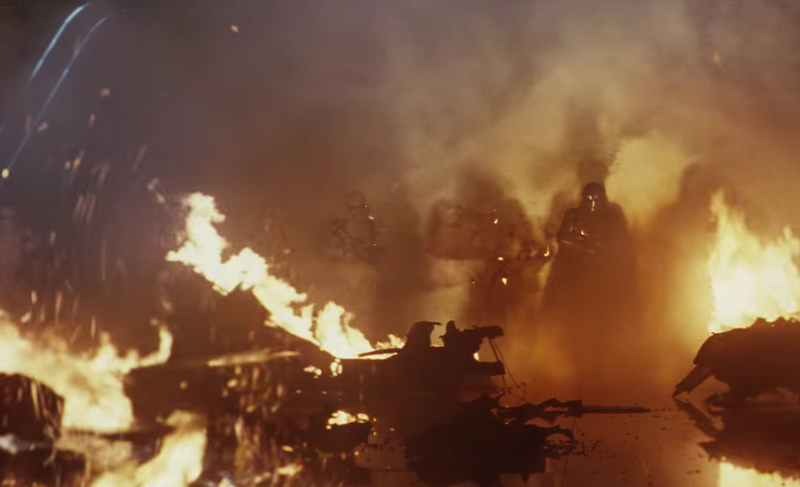 Another callback, this time to Darth Vader's charred helmet in The Force Awakens' teaser trailer. It's quite possible that Kylo destroyed it himself in one of his famous tantrums, as part of his own evolution; killing his father was a major step for him, and Supreme Leader Snoke vowed to "complete his training." "A balance," Rey concludes. A gloved hand touches one of the dusty books. The symbol on the book is that of the Jedi Order. 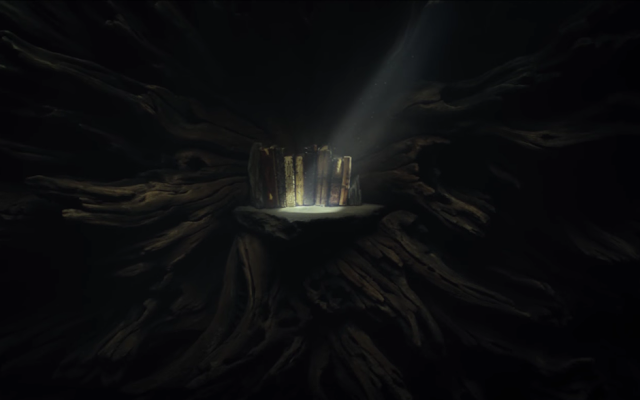 The Force Awakens heavily implied that Ahch-To is the site of the first Jedi Temple, so they must have stuck some ancient literature in the tree for safekeeping. 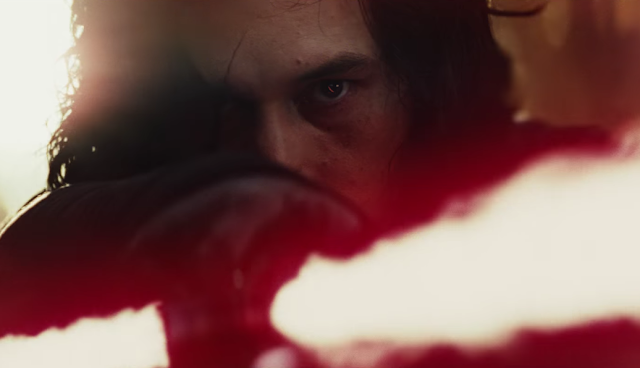 The glove seems to indicate that Kylo is the one seeking Jedi knowledge, not Rey, which is fascinating because it means that he's still feeling "the pull to the Light." A squadron of ships soars across the flat surface of a planet, scraping up plumes of red dust, towards several towering structures. This planet is called Crait, as Making Star Wars first detailed (and EW confirmed), a mineral-rich world covered in salt that was first mentioned in Rogue One: The Ultimate Visual Guide. It's the site of a Resistance mine/base, and the structures in the distance are the First Order's gigantic Heavy Assault Walkers. 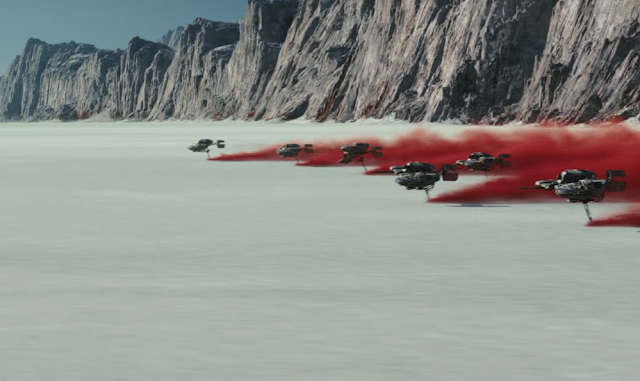 It looks like the ships are designed to drag on the surface of the planet in order to blind the walkers with the red dust. Poe Dameron and BB-8 rush towards his X-Wing, only to have an explosion rip through the hangar and destroy it. Poe will reportedly be guiding the Resistance fleet (more on that later) through the galaxy as they outrun the First Order. His X-Wing will have new, faster engines, though it's unclear if that's the ship that just blew up or its replacement. 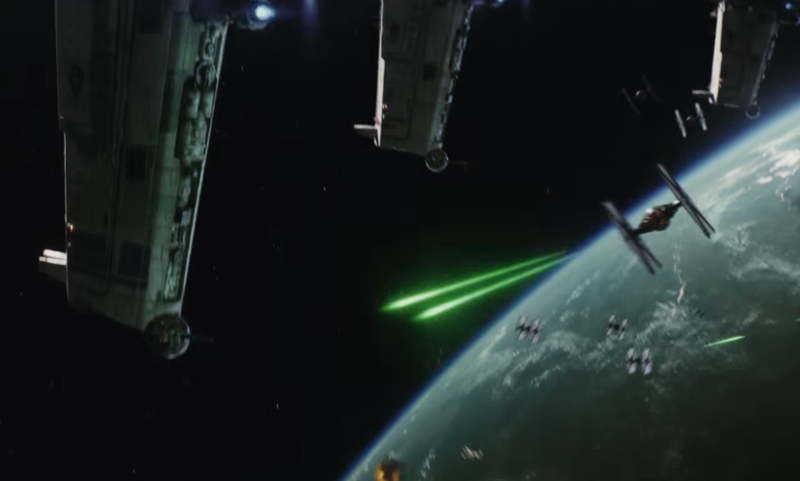 The Millennium Falcon destroys a TIE fighter and evades two others in the cloudy skies of a planet. 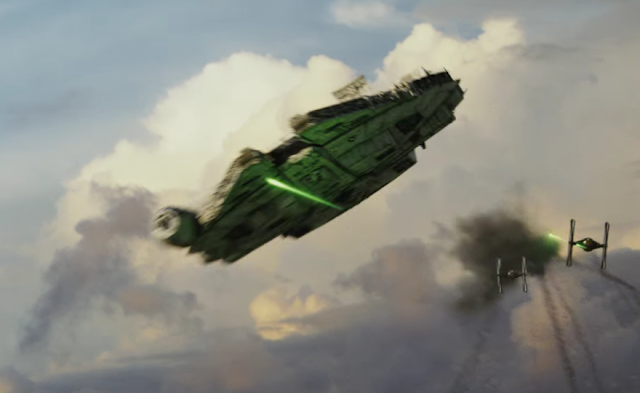 There's no telling what world this is, or even who's piloting the Falcon; it could be Chewbacca, Rey, or even Luke. But since the First Order – in particular, Kylo and the Knights of Ren – will reportedly attack Ahch-To, and the Falcon was last seen parked on the planet, that's our best guess. Rey furiously sprints across a dark, rocky terrain with her lightsaber ignited. Someone's ready for a fight. 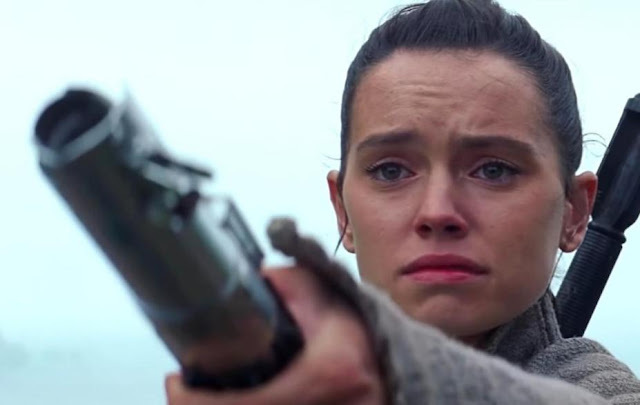 Once again, Rey is letting her anger get the best of her; both Anakin and Luke had similar struggles in the previous Star Wars trilogies, but only the latter was able to come to his senses and return to the path of the Jedi. 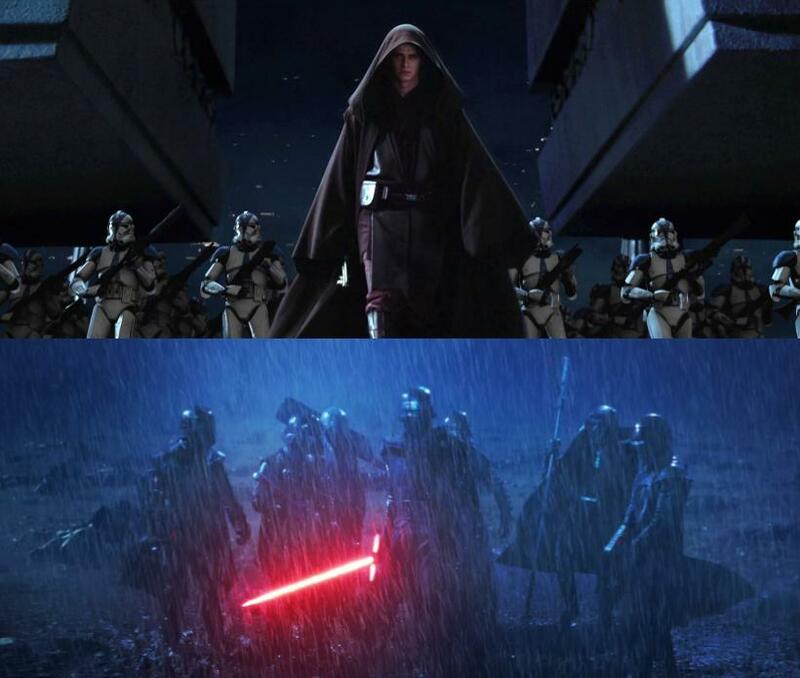 Kylo Ren appears to face her with his crossguard lightsaber. Yep, it sure looks like he's abandoned his helmet. Maybe it's because his new scar (courtesy of Rey) is in almost the exact same spot as Anakin's, and thus strengthens Kylo's connection to his beloved grandfather. 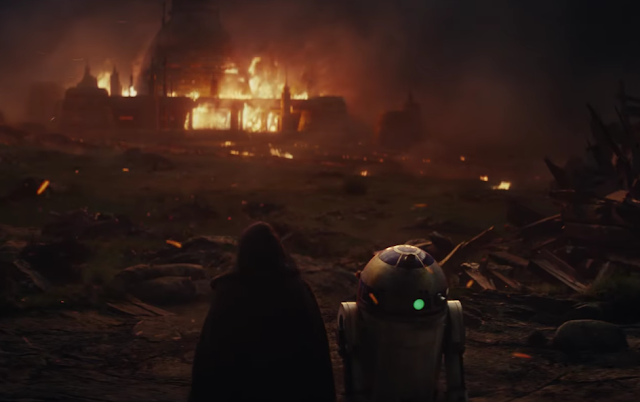 A hooded figure collapses next to R2-D2 in front of a large, burning structure. This is almost definitely another look at Kylo's destruction of Luke's new Jedi temple, an event that permanently ruptured the entire Skywalker/Organa/Solo family. The Force Awakens gave us a frustratingly brief glimpse of this scene, but through the Force – probably another vision of Rey's – we'll hopefully get to see the whole thing. Captain Phasma marches through fire and smoke with her stormtroopers. The First Order's lamest leader is back. 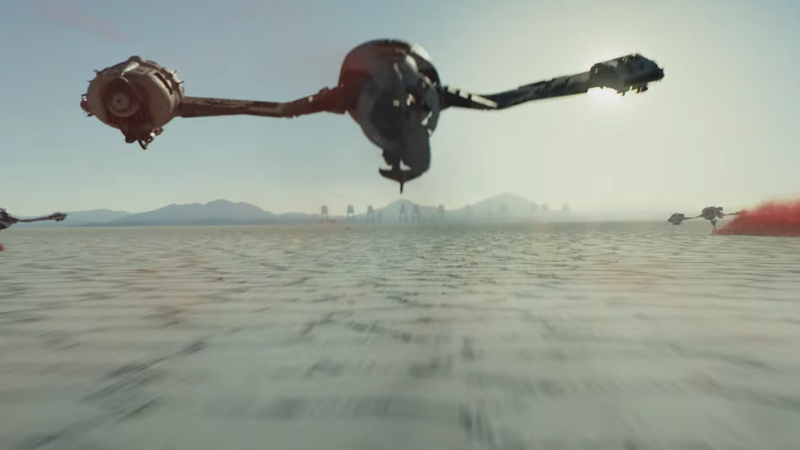 The trailer wants us to think that this shot is connected to the previous one, but it's really just deceptive editing. Based on the faint glowing light in the upper left corner and the smooth, shiny floor amidst the rubble, we know that this shot is indoors. In fact, it might directly follow the shot of the explosion in the Resistance hangar, making for an awesome introduction for Phasma. 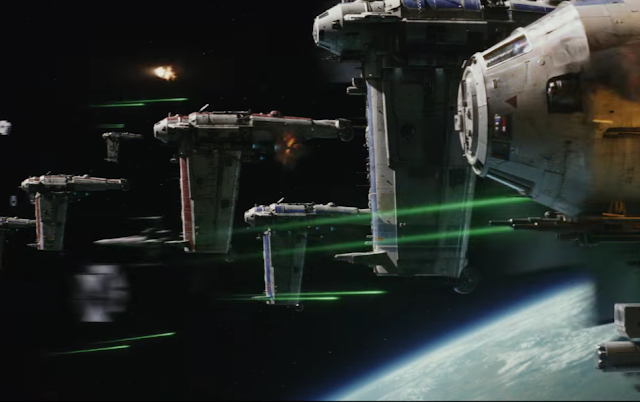 Resistance frigates and X-Wings battle TIE fighters in space. It's safe to say that the First Order has caught up with them. These new ships may be supplied by Laura Dern's new character (rumored to be named Admiral Holdo), who clashes with both Poe and Leia. The First Order in turn has an even greater space arsenal in the form of an absolutely gigantic Star Destroyer. "I only know one truth: it's time for the Jedi to end," Luke proclaims. His silhouette stands in the entrance to a cave. Whoa. Luke's outlook seems shockingly pessimistic, but maybe he's just realized that the Jedi Order is overrated. After all, they completely failed as peacekeepers – it is called "Star Wars," you know – and they let their greatest enemy, Darth Sidious, hide in plain sight and manipulate them for years. Maybe Luke is the last Jedi so that Rey can start a new order in the middle of the Force, truly bringing "balance." After such a long wait, some fans may be disappointed with the relatively short length and few plot details of this trailer. But for our first look at the film, it was pretty perfect. Instead of the gritty, warlike tone of Rogue One and its marketing, we got a blend of Jedi mysticism and classic Star Wars spectacle in new and exotic locations. 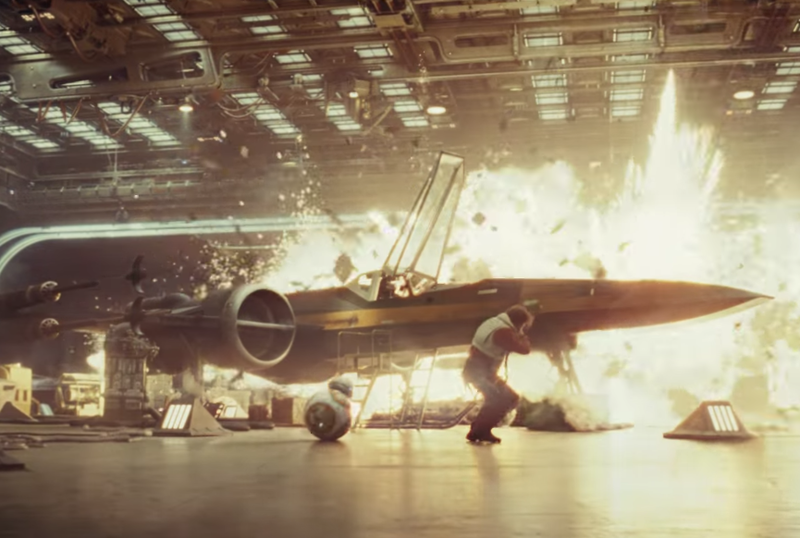 Most of our old favorites from The Force Awakens appeared, even for brief moments. And most importantly, Luke talked. Although we learned nothing new about Laura Dern and Benicio Del Toro's new characters, Rian Johnson did shed some light on the "biggest new part," praising newcomer Kelly Marie Tran and inviting her onstage. 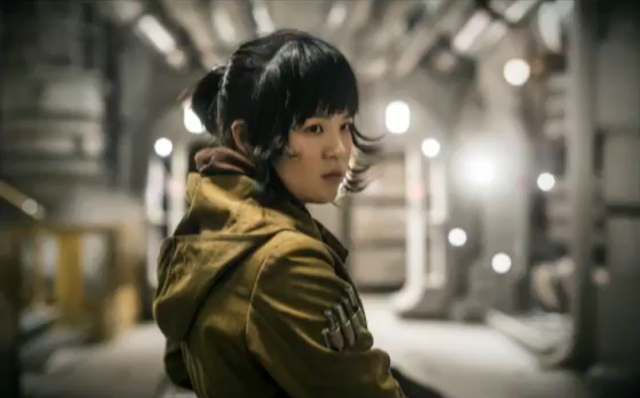 Tran revealed that her character, Rose (pictured below), is a Resistance maintenance worker. It's been rumored that she'll have an adventure with Finn on the casino world of Canto Bight. What did you think of this trailer? Why do you think Luke wants to end the Jedi Order? Tell me in the comments or tweet to @SithObserver, and may the Force be with you all. Star Wars Celebration Orlando is coming next week, April 13-16, and just like every Celebration, we can expect some seriously exciting announcements. While Celebration Europe last July was dominated by Star Wars Rebels (partly due to the disappointing absence of a new Rogue One trailer), this year we're pretty much guaranteed big reveals from both the cinematic and animated sides of the Star Wars universe. Since the full panel schedule has been released on the official Celebration site (with a more condensed version on StarWars.com), we're taking a look at the major reveals that we can realistically expect from this year's Celebration. This is the moment that we've been waiting for. The first teaser trailer for Star Wars: The Last Jedi is widely expected to drop during the film's panel on Friday, April 14 from 11 AM to 12:30 PM, considering that teasers for The Force Awakens and Rogue One were released in April 2015 and 2016, respectively. The official description even promises "plenty of surprises and special guests on the panel to keep the excitement brewing and speculation spinning throughout the rest of the weekend." 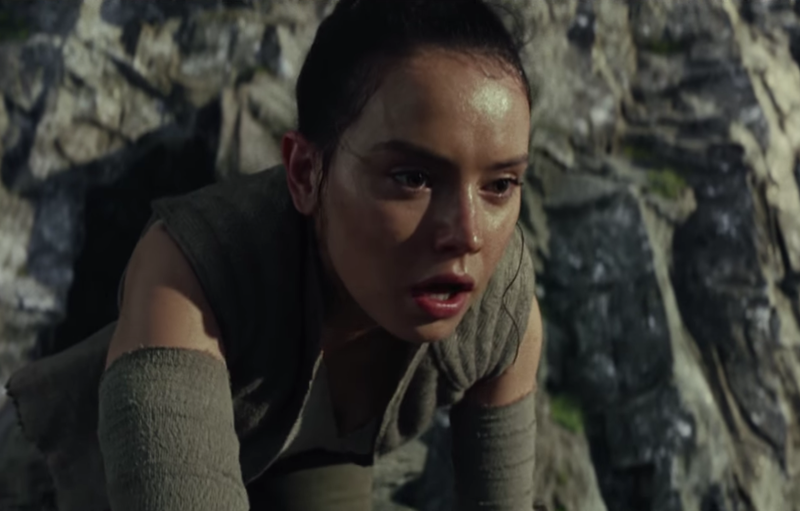 If the teaser is anything like the sizzle reel shown to Disney shareholders last month, then it'll (unsurprisingly) focus on Luke and Rey's relationship and her training on Ahch-To, including Rey practicing with a lightsaber, levitating pebbles with the Force, and Luke asking her, "Who are you?" It's possible that we'll get a shot of Luke accepting his lightsaber from Rey mere moments after the end of The Force Awakens, though they might want to save that reveal for a later time. Additionally, we can expect teasing shots of familiar faces such as Finn, Chewbacca, Poe Dameron, Captain Phasma, and a bittersweet glimpse of Carrie Fisher's last film role as General Leia. And because this is Star Wars, we'll probably also see new starships and various exotic locations. Star Wars News Net reported that might even get a look at Han Solo's funeral. Lucasfilm president Kathleen Kennedy and director Rian Johnson are sure to be joined by at least a few cast members (including Mark Hamill, who is headlining his own panel and hosting a tribute to Carrie Fisher) in introducing the footage and discussing the film. They've been keeping plot details under wraps for a while now; it's about time that they show off the most anticipated movie of the year. The untitled Han Solo Star Wars Story is coming in just over a year, and though most of the primary cast has been confirmed already, there's still much to learn about the film. Unfortunately, no panel for the film has been scheduled and it's unlikely that Kennedy or any of the Lucasfilm executives would spill anything serious during unrelated panels. We can expect that the Han Solo film will have a very limited presence at Celebration so that The Last Jedi can properly take the spotlight. Star Wars News Net has reported that the films will trade off at Disney's D23 Expo in July, with the Han Solo movie announcing its official title and perhaps even an image of the titular hero in costume. In short, we're going to have to wait a little longer to learn more about Han and Chewie's origin story. Star Wars News Net (which is proving to be as essential a news resource as Making Star Wars) published a story on Thursday about Lucasfilm's future plans. Aside from an inevitable third Star Wars trilogy, these reportedly include a long-rumored Boba Fett movie, a tragic love story, and an Obi-Wan Kenobi movie set between Revenge of the Sith and A New Hope and starring Ewan McGregor. The latter is the most universally appealing prospect out of the three, and the report suggests that Disney is planning on announcing it very soon. If this were to happen during the 40th anniversary panel (Thursday the 13th, 11 AM to 12:30 PM), it would kick off Celebration with a bang, considering that Kenobi is one of the most beloved Jedi and McGregor's performance was one of the highlights of the Prequels. After last week's Season 3 finale, "Zero Hour," Star Wars Rebels is wasting no time in promoting Season 4. The series' panel on Saturday the 15th from 11 AM to 12:30 PM is explicitly promising a "sneak peek" of what's to come. This probably won't include a full Season 4 trailer, but a teaser clip and significant details from the cast and crew discussion can be expected. What's even more intriguing than Rebels is the prospect of a new Star Wars animated series. The main source of these rumors is that Dave Filoni (the man behind both Rebels and The Clone Wars) was promoted in September to oversee not just Rebels but all future Lucasfilm Animation projects, hinting that they have something new planned for 2018. This announcement would occur during the Rebels panel or Filoni's own panel on Thursday the 13th. The timeline of this series could easily fall between Return of the Jedi and The Force Awakens, a period that we know frustratingly little about. This would allow the show to fill in the gaps that the Sequel Trilogy can't take the time to explain, including the formation of the New Republic, the rise of the First Order, and Ben Solo's fall to the Dark Side. 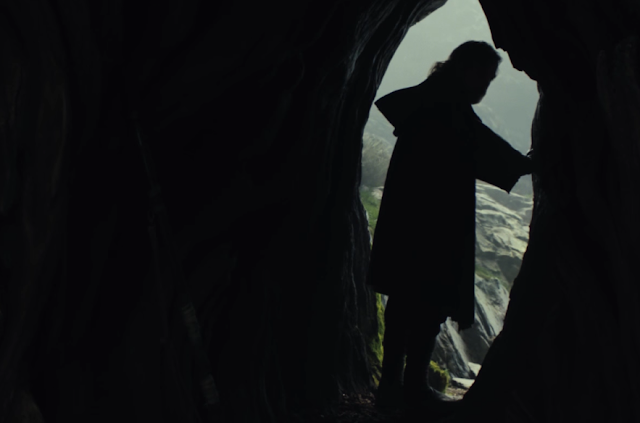 You can expect a breakdown of the first The Last Jedi trailer and any other noteworthy Celebration announcements right here on the weekend of April 14-16. What do you think will be revealed at Celebration? 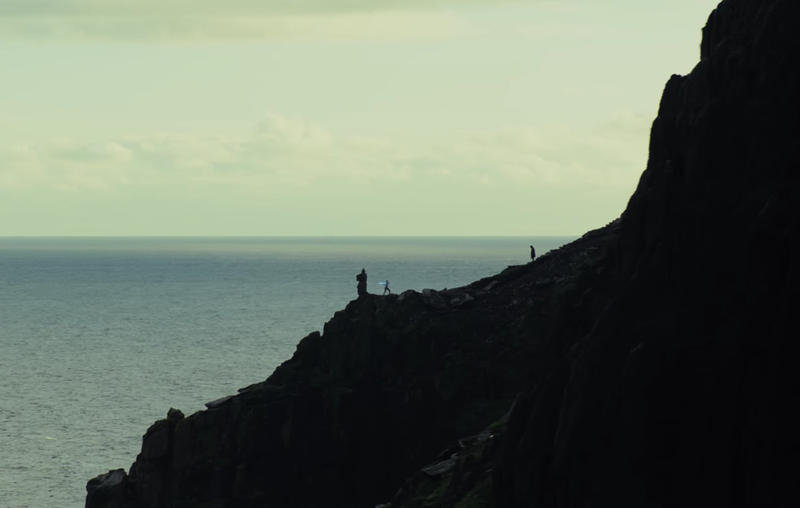 What are your hopes for The Last Jedi's teaser trailer? Tell me in the comments or tweet to @SithObserver, and may the Force be with you all.